A member of the Tibetan exiled government on a tour of European cities, urges the Tibetan diaspora youth to get involved in the peaceful movement for Tibet support. Kalon Pema Chhinjor called on the youth to be responsible Tibetan ambassadors in his addresses to the Tibetans in Austria and Germany. He urged all Tibetans to join local Tibetan communities and act as responsible members of their communities. He said though we are homeless and scattered, but our strength is that we are united. "Don't forget your roots," he said. 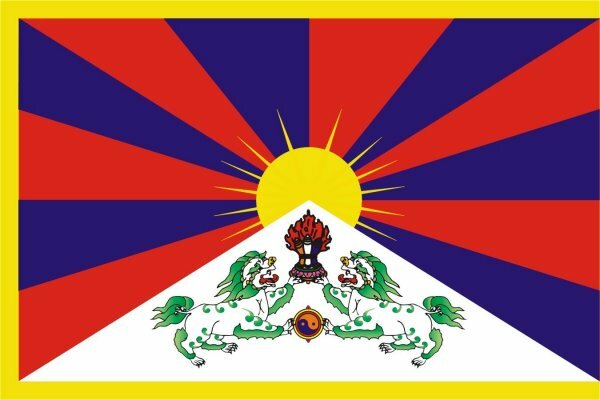 "You cannot forget that you are a Tibetan." He visited Vienna, the capital of Austria on 10 July  and addressed the Tibetan community members in Hamburg, Germany today [12 July 2012]. Kalon said that the 2008 uprising across Tibet was a turning point in Tibetan struggle. He said that the Chinese government claims that they have created a socialist paradise in Tibet. However, 43 young Tibetans born and grown under Chinese Communist rule have self-immolated because of the brutal repression faced by the Tibetans. Tibetans must take pride and encouragement that the spirit of Tibet especially amongst the younger generation in Tibet was very strong, he said. Kalon Pema Chhinjor said he had especially come to Germany, Austria, Italy and Switzerland to meet Tibetans and take part in the celebration His Holiness the Dalai Lama's 77th birthday. He will travel to London on 14 July  to address the Tibetan community in Britain. It was the wish of Kalon Tripa Dr Lobsang Sangay that the Kalons take part in His Holiness the Dalai Lama's 77th birthday celebration in overseas Tibetan communities to maintain regular contacts with the scattered Tibetan Diaspora. These visits help mobilise Tibetans together - what each Tibetan can do for Tibet, what the Central Tibetan Administration can do and what can be achieved together for the benefit of the Tibetan issue. He said during the first 10 months of the present Kashag, it had achieved various international supports for Tibet. Three resolutions in support of Tibet from US Congress, Japanese and European Parliaments were passed. The finalisation of 1,000 Tibetans immigration to Canada from India, World Parliamentary Convention for Tibet in Ottawa and support shown during Kalon Tripa Dr. Lobsang Sangay's various foreign tours. During Kalon Dicki Chhoyang's recent visit to Taiwan; she was the first Tibetan Kalon to address members of the Taiwanese parliament in the Parliament. Kalon Pema Chhinjor attended the World Fellowship of Buddhists conference in South Korea in mid June . Kalon Pema Chhinjor emphasised three points in his address - (1) To being a responsible Tibetan, (2) Gratitude to His Holiness the Dalai Lama and to fulfil his wishes and advice and (3) The Central Tibetan Administration is for the Tibetan people and elected by the Tibetan people. It is not for one individual but for the benefit of the six million Tibetans. He said in 2001 Kalon Tripa election, there was only two candidates. However, in 2011 election, initially there were over 30 candidates. This development re-affirms the tremendous democratic awareness and responsibility amongst the Tibetan community. The election of a young Kalon Tripa born in exile by the Tibetan people sent a strong message to the Chinese government that the Tibetan struggle would continue with each new generation. He said that Tibetan Buddhist heritage is our most valued culture. The present generation must pass on Tibetan language, religion and culture to their children. He said that the Kashag remains firmly committed to non-violence and the Middle-Way Approach. In Vienna, Kalon Chhinjor met with the President and the Vice-President of Save Tibet. On arrival in Hamburg, Mr Christof Spitz, His Holiness the Dalai Lama's Germany translator hosted a lunched and gave a tour of Tibetan Centre in Hamburg. He also met with Prof Dr Michael Zimmermann, the Director of Hamburg University's Buddhist Centres and Prof Dr Dorji Wangchuk of Tibetan Studies.